Rifle Custom Ruger MV II VT + Lothar Walther honed SS Match bbl. Impressive. 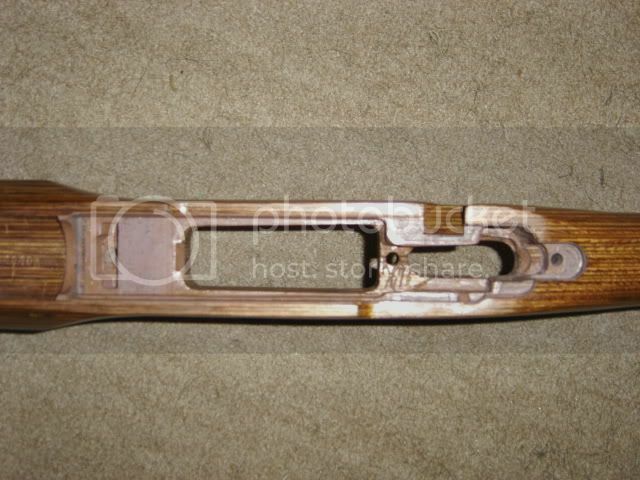 What forend rest and what buttstock rest did you use? What is the diameter of the bullseye ring? Paper is my game, steel the same. I always liked the KM77 mark II VT rifle. I used one when I was a part time pro too shooter back many moons ago. Sat very stable and that trigger was one of the best to adjust yourself. I'll second that, the 2-stage trigger is very nice for target work. Front rest was Wichita tripod + sand bag at rear end. Target was inspired from bench rest and home drawn using Powerpoint. Being a hunter used to sight in to strike above POA (max point blank range), I'm disturbed by shots hitting below POA, so I turned the target upside down. Aiming square is 2x2 cm (.8x.8") and bullseye's diameter is also 2 cm (.8 "). I'll add that, apart from the match bbl., the rifle was glass bedded by a true artist.